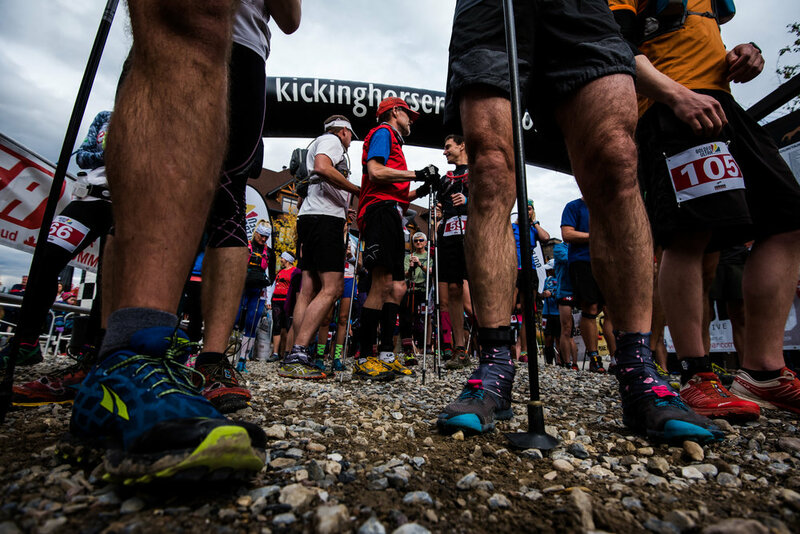 "The Blood" is the first stage of the Golden Ultra. Known as a vertical kilometre, you'll gain 1000m in less than 5 km of "running." The course starts at the bottom of the gondola at Kicking Horse Resort and wind its way up service road, quad track and a final beautiful kilometre of singletrack at the top. The only disappointment is that with your nose stuck in the vertical you don't get to appreciate the spectacular mountain and river views until you're at the finish line.